If you’re going to use trolling as your chosen method of fishing, it definitely makes sense to also use a trolling plate. Trolling plates aren’t complicated; they just make it possible for you to control the speed of the boat and reduce drift. Doing so makes it more likely to catch more fish because the boat won’t start moving too fast to catch them. With the right troll plate, you will be able to keep things steady and consistent, and that’s never a bad thing. Choosing the right trolling plate and ensuring it’s able to do everything you need it to do is vital to a good fishing experience. To help you select the right trolling plate we’re going to look closer at 5 of the best options out there today. We compared features and owner reviews to see which models performed the best. Read on now to find out all about them. 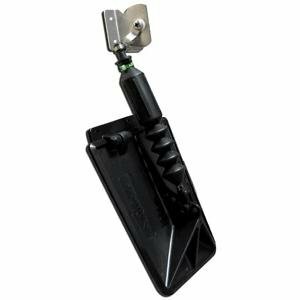 The Ironwood Pacific EasyTroller Hinged Metal Trolling Plate is one of the most popular and successful out there. Its mechanism makes it functional, durable and easy to use. That’s why so many people turn to it as the solution to their trolling problems. Some of the main benefits of using it are discussed below. 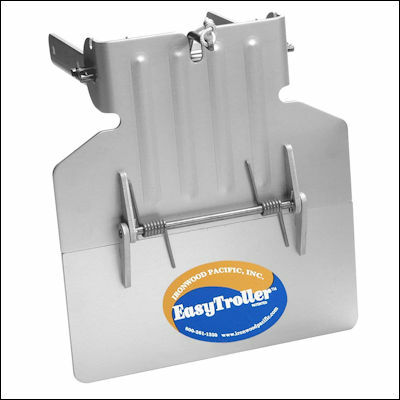 The one feature that the EasyTroller from Ironwood Pacific can really boast about is the hinge that allows the rolling plate to bend, avoiding excessive pressure being placed on it which in some circumstances can lead to damage. It’s a neat feature that can provide you with a little extra peace of mind when trolling. The aluminum build of the EasyTroller also add to that sturdy feel and added durability that many people want when they’re using a trolling plate to improve their fishing outcomes. It’s definitely not a cheap or lightweight option, so you won’t have to worry about any problems in that department. There are different sizes of the EasyTroller available, so you’ll be able to find the precise option that meets your needs. They understand people have different sizes boats and motors and it’s good that they cater for that by offering the same model in a range of different sizes. Not all manufacturers do that. 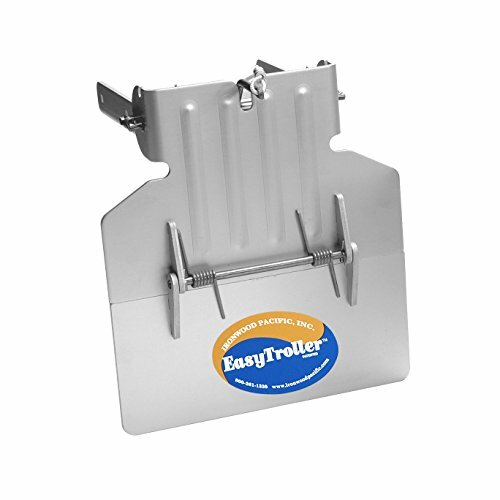 The EasyTroller already has a good record of performance, with lots of customers making use of this trolling plate and being happy with its performance. It’s always a good sign when a product has had good responses from the people using it regularly. The Davis Instruments Happy Troller might be similar to the Ironwood Pacific model discussed above in many ways. But it does have a couple of features less, and the benefit of this is that the Happy Troller is the much cheaper model. So if you want to save some money, this trolling plate might be the one for you. 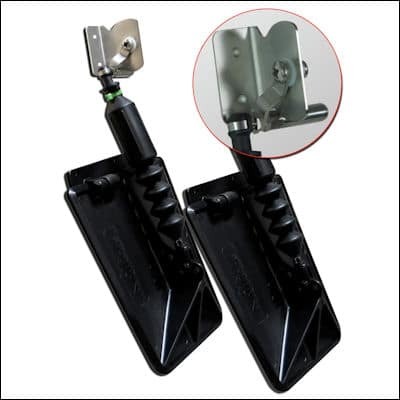 Without the hinge that comes with the EasyTroller, there is certainly more of a risk when it comes to potentially sustaining damage to your trolling plate. But this isn’t a massive problem when you consider the strength and sturdiness offered by the Happy Troller. It’s strong enough to avoid damage in most circumstances. It’s very easy to use the Happy Troller, so you shouldn’t struggle when setting it up or using it consistently on the water. Some people find that ease of use is the most important factor when buying a trolling plate because they don’t want to be struggling with their plate everytime they want to catch some fish, and that’s perfectly understandable. When you consider that the main difference between the Happy Troller and the EasyTroller above is the cost, it’s not hard to see why many people choose this option. It lacks the hinge that comes with the EasyTroller, but the savings you can make as a result of this definitely make it appealing in the minds of many people. 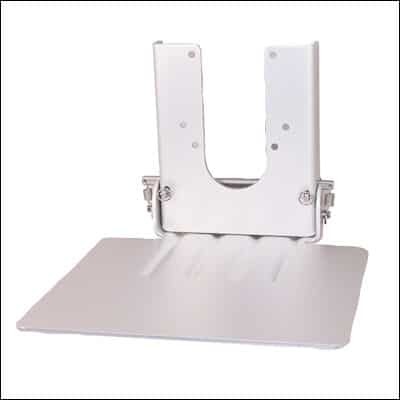 The Trol-a-Matic trolling plate is spring-loaded in the down position and is able to do exactly what you want it to. There’s nothing very complicated about using this model, and that’s definitely a good thing for anyone looking to buy and use one. Here are some of the main benefits to be aware of. The design of the Trol-o-Matic trolling plate makes it possible for you to start using it right away. You can fit it easily by yourself and you shouldn’t have any problems at all. Why choose a trolling plate that makes the whole process more complicated than it needs to be when you choose this solution instead? The performance of the trolling plate is completely automatic, meaning there is no requirement for your input. It lifts by itself once your boat starts moving, and as soon as the boat stops and is no longer in motion, it will fall back into the idle position. It’s good to know that all this is done for you without any intervention at all. Because the Trol-o-Matic is black, something that’s quite unusual for a trolling plate like this, it’s appealing to people who have black motors on their boats. If you care about making sure your motor matches your trolling plate, this trolling plate could offer you a solution that other options on the market simply can’t. This is definitely a very good trolling plate for people who are still beginners. That’s the case because it’s very easy to start using and there’s nothing complicated about the installation process that you’ll need to go through when you first start using the trolling plate. So if you’re just starting out, this is an option to consider. 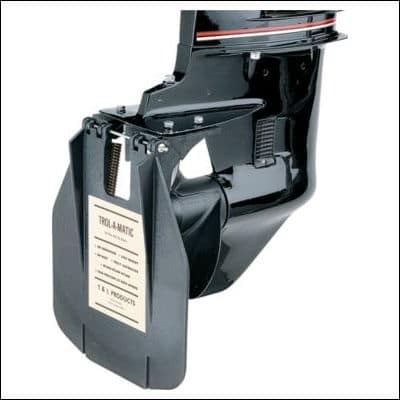 These tough, dual purpose trim tabs offer something different to all of the other trolling plate options listed above. They perform differently, eliminating some of the problems that are often attached with using a more conventional trolling plate. 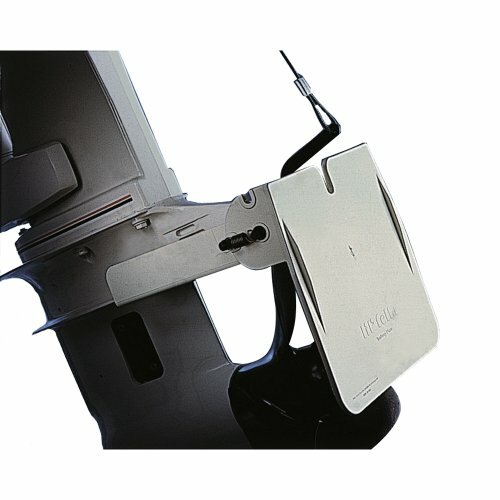 There are lots of reasons why you might want to use the Nauticus PT9510-60 SX ProTroller Series trim tabs, and you can learn more about them below. One problem that people often suffer when they’re using trolling plates is plowing or porpoising. This is something that frustrates a lot of people who enjoy trolling, and you shouldn’t have to put up with it any longer. 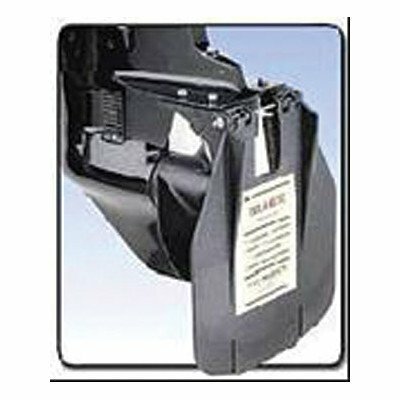 It makes sense to choose an option like the Nauticus PT9510-60 SX ProTroller Series trim tabs if you don’t want to deal with this issue again. 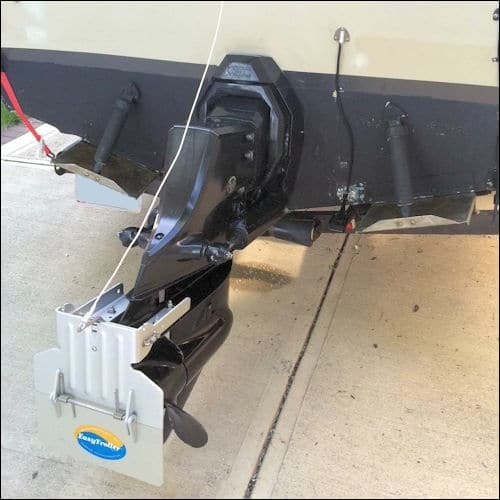 The great thing about these trim tabs is that they are dual purpose. They massively improve the hole shots, while also slowing the boat down and keeping the speed consistent when you’re trolling. The fact that they allow you to improve a couple of things at the same time is very useful and something many people want to make the most of. 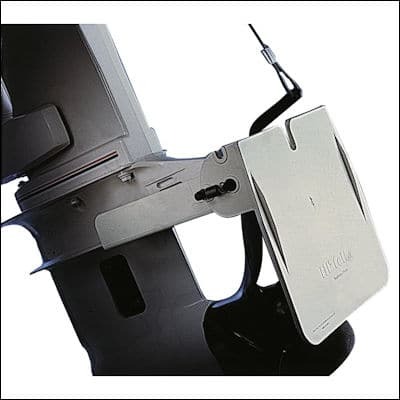 The overall design offered by these Nauticus PT9510-60 SX ProTroller Series tab trims is definitely aesthetically pleasing, which has to be a good thing. It might not be the most important thing in the world, but at least it won’t stick out like a sore thumb when you’re using your boat. If you’re looking for something a little smaller than the alternative options out there, this is probably the solution for you. There aren’t too many small trolling plate options out there, but this one fits the bill, and that’s why it’s definitely worth seeking out if the other trolling plates you’ve read about on this list are too big for what you need. The main thing to talk about regarding the Davis Instruments Lil Fella trolling plate is that it’s small enough to be suitable for small overboards. And that’s something that’s not normally the case. You will find that it’s actually quite hard to find suitable solutions to small overboards, so the Lil Fella has nailed down that corner of the market. It’s also a versatile device, meaning it can be used in a variety of scenarios and situations. It can be used in either salt water or fresh water without any problems. And it can be used at any time of the year, no matter what kind of boating activities you might be doing. You won’t have any problems at all when it comes to installing your Lil Fella. There’s nothing very complicated about them, meaning they’re very easy to install. Even a beginner shouldn’t have any problem fixing them in place and using them for the very first time. That’s definitely a big selling point. The overall build quality of this trolling plate is also very impressive. It means that you can rely on it for as long as you need to. They’re not flimsy or cheap at all. They’re made from polycarbonate and stainless steel, providing you with stability and reliability. Good build quality is important because you don’t want the frustration that comes with having to replace a damaged trolling plate. Made of the highest quality polycarbonates with stainless steel hardware.